The No Cry Sleep Solution by Elizabeth Pantley offers a gentle approach to help your baby sleep through the night. Common sense tips and the use of sleep logs help parents guide their baby. Rocking and feeding to sleep, without the need for crying, allow you to help your baby with self-soothing and sleeping alone. Elizabeth Pantley, parent educator, first published her ideas in the book The No-Cry Sleep Solution - Gentle Ways To Help Your Baby Sleep Through The Night. Other books like The No Cry Sleep Solution for Toddlers and Preschoolers, The Nap Solution and The Potty Training Solution followed. She generally aims at consistent and long term results rather than a quick fix. That is one of the approaches in child education I personally value most. Many parents enjoy reading these books as they support them in their personal ways of how they instinctively approach their children. The no cry sleep book gives them a workbook to hang on to and to refer to. You can start with the no cry sleep solution from newborn sleeping onwards. 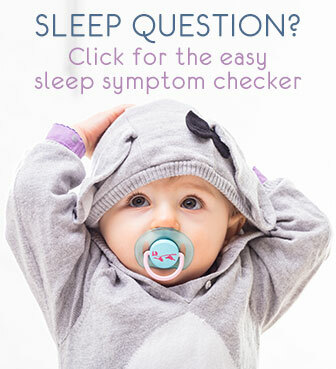 Different tips will apply at different times and you can refer to them from time to time as your baby grows and may have different sleeping issues. More flexible than die-hard attachment parenting, parents of any conviction may find useful ideas in Elizabeth's books. You have to set to work though and be prepared to follow the approach diligently. What I like personally in Elizabeth's books is the way she explains things: the basics of good sleep are presented through options and systems with clarity and in a pleasant way. The logs help you get actively involved, both in understanding your baby's sleep and in why and how to work to improve things. I recommend that you read the book really well before getting started so you know what to expect. 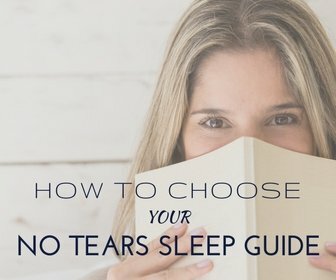 "Doing" the no-cry sleep solution does require "work" from your part - as with any successful parenting task by the way - but also that you agree fully with the proposed techniques. On average parents who patiently stick with the approach are mostly happy and say to have learned a great deal from the books. Based on the standard basics of good sleep, Elizabeth's approach is similar in some ways to the personalized approach you find on this site, though many report to find the latter more doable in real-life.